Cuban revolutionary leader Fidel Castro has insisted he was misinterpreted by a US reporter who quoted him as saying that the Cuban economic model "doesn't even work for us any more." Castro, who left the presidency in 2006, recently gave a rare three-day interview with a reporter from The Atlantic magazine and a Cuba expert from the US Council on Foreign Relations (CFR). According to The Atlantic, which published its account on Wednesday, the 84-year-old Cuban revolutionary icon joked about the state of the Cuban economy. 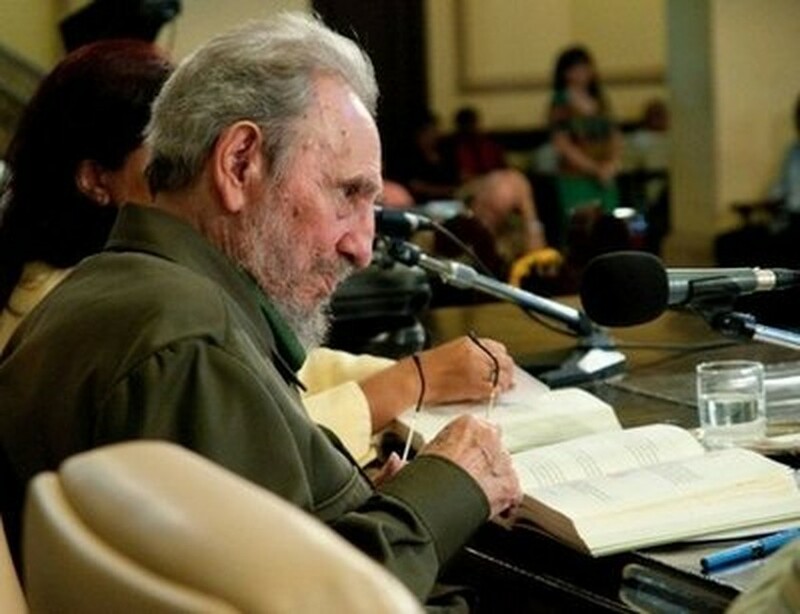 Picture released by Cuban website www.cubadebate.cu, shows former Cuban president Fidel Castro at a presentation of his new book La Contraofensiva Estrategica (The Strategic Counteroffensive) at Havana University. 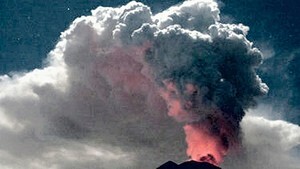 Castro said Friday he made the statement "without anger or worry. Now I'm amused to see how (the Atlantic reporter) interpreted it literally" in consultation with a CFR expert. "My answer, meant exactly the opposite" of what the reporter wrote, Castro said, speaking at an event presenting the second volume of his autobiography. Castro said he was clear about Goldberg's intention when he asked if the Cuban model was still worth exporting: "It's obvious that implicit in the question was the theory that Cuba was exporting the revolution." In Washington, CFR expert Julia Sweig, who was present at the interview, told AFP on Friday that she had a different take on Castro's quote. Castro "wasn't joking and when I heard him saying that, I took him to mean the economic model doesn't work anymore, not the revolution, not the socialist ethos, not the independence spirit, not you know, the revolution, just the model," said Sweig. When Castro "said the 'Cuban model doesn't even work for us anymore' he was almost making reference to that kind of 'fetishized' Cuban model. 'Oh, that doesn't even work for us anymore,'" Sweig said. Cuba's feeble economy is currently propped up by subsidized oil from ally Venezuela. The government has launched minor reforms but no major structural change in an economy overwhelmingly controlled by the state. Castro Friday did not explain exactly what he meant by his equivocal phrase, but stressed it was the capitalist system that was not working. "My idea, as the whole world knows, is that the capitalist system no longer works neither for the United States or the rest of the world; it leads to one crisis after another, ever worsening, global in scope... and inescapable. "How could such a system work for a socialist country like Cuba?" Atlantic reporter Jeffrey Goldberg invited Sweig to sit in on the rare interview in Havana. The former Cuban president and head of the ruling Communist Party "was in real good shape," said Sweig. "He's obviously older and has experienced a number of physical illnesses, but you know, he's eating, talking, his conversation is witty, interested and I'd say he was 1,000 percent there." Fidel Castro ceded the presidency to his brother Raul in 2006 after a serious stomach illness. Since then, cautious steps have been made to liberalize the country's economy. In July, Cuba's lawmakers mulled legalizing more small private businesses, perhaps expanding a limited program to include farm and food industries. In a country in which 95 percent of the economy is state-run, inefficiency is rampant and wages are woefully low, Cubans' hopes are running high that some change is coming to allow some economic opening in the Americas' only one-party communist regime. Earlier, Raul Castro gave a green light for a test-run privatization of barber and beauty shops. Under the limited program, the state now rents out shops to workers who used to live mainly on tips and work at home on off hours. Now stylists are able to set their own prices, and are working at improving service. Stylists pay for a license, their rent, social security plus electric and water bills. Fidel Castro met with Goldberg and Sweig about two weeks ago and spoke about a wide variety issues. "We were talking about a lot of things, but you know, Fidel Castro is not running Cuba foreign policy right now," Sweig said, though he "weighs in as a public figure, a senior statesmen."